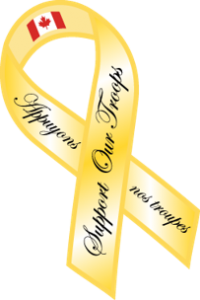 The Natasha’s Wood Foundation has gifted EIGHT THOUSAND DOLLARS in August 2018, to the Official Support Our Troops Scholarship Fund. As part of our mission to support “youth” in Veteran and or currently serving Canadian Armed Forces Families, the NWF “SCHOLARSHIP” grant was applied successfully to the Support Our Troops Scholarship Fund for 2018. Applying for their second year at University, the youth (recipient) must be from a Veteran’s family dealing with one or more of the following, due to service to country: PTSD/ TBI/ OSI/ suicide. The youth (recipient) has a “mental health issue” themselves and wishes to study at a community college in the area of “Theatre / TV film production/ editing / sound/ technology. Applying for their third year at University, the youth (recipient) from a currently serving and or veteran family studying “performing arts” degree. Applying for COMMUNITY COLLEGE, the youth (recipient) must be from a Veteran’s family dealing with one or more of the following, due to service to country: PTSD/TBI/ OSI/ suicide. * PLEASE NOTE: As our mission clearly states that we support “youth” / mental health wellness. A youth in a family that is living and or currently serving/ has served/ and or has lost a partner to suicide due to service; with mental health issues derived from service to country. The description for three out of the four below scholarships, (gifted to “students” via the Support Our Troops (SOT) scholarship program FUND), outlines PTSD /TBI / OSI / suicide.